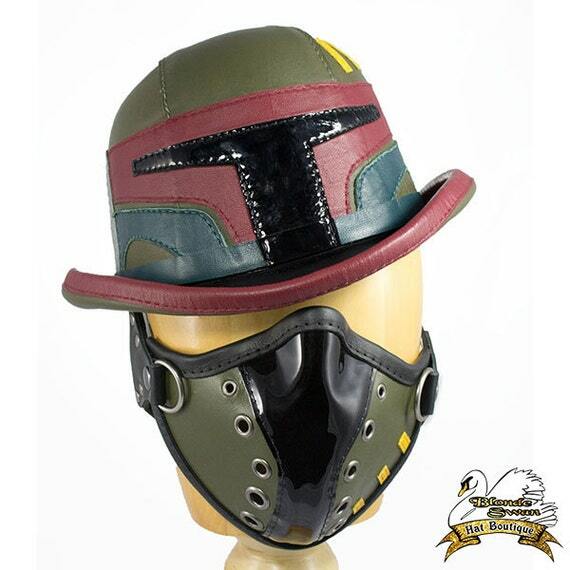 Check out these wonderful Boba Fett inspired hats from Etsy seller TheBlondeSwan. Are you the toughest freelance bounty hunter roaming the galaxy? Constructed of velvety soft suede, hand cut accents including black patent leather to symbolize the shin of the helmets visor. 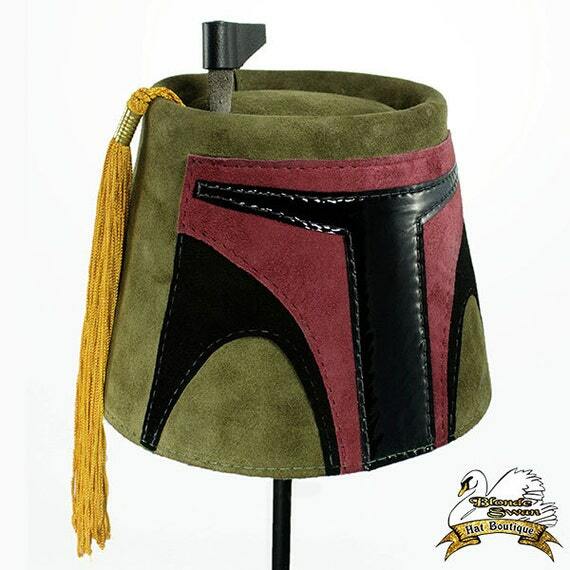 This fez is lined with smooth leather and finished of with a gold tassel attached to a leather antenna. A necessity for any true fan of the force! 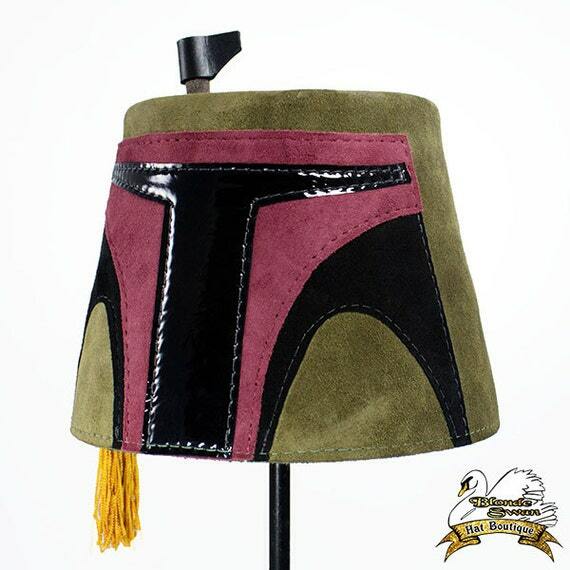 So suit up and lead your clones to battle in your new Boba Fez! Our Fezzes come with an adjustable belt. Constructed of various colored leathers, hand cut accents including black patent leather to symbolize the shin of the helmets visor. We make all of our products using traditional leather-working techniques to give you something that will last a lifetime. Our Boba Bowler is hand-crafted from premium raw leather that is then wet molded, keeping true to the classic bowler style with its slyly curled brim. They are then finished with a cotton padded sweat band and custom belt to finish the hat. If you are in the market for a timeless hat, look no further. 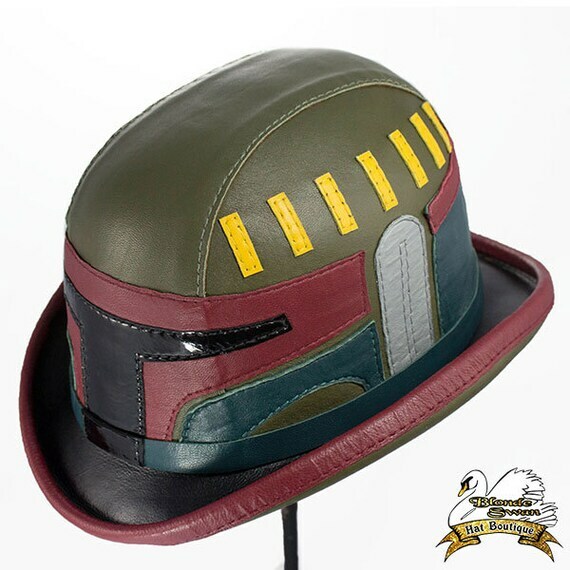 This will be the crowning piece in your wardrobe that will make the whole galaxy jealous. So suit up and lead your clones to battle in your new Boba Bowler! Be sure to head over to TheBlondeSwan to purchase one of these or to see many other great g33ky hats.